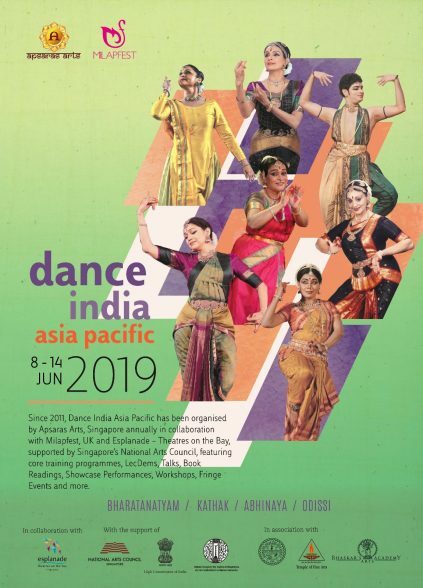 Dance India Asia Pacific returns back to Singapore from Sat 8th June to Fri 14th June 2019. REGISTRATIONS ARE NOW OPEN. 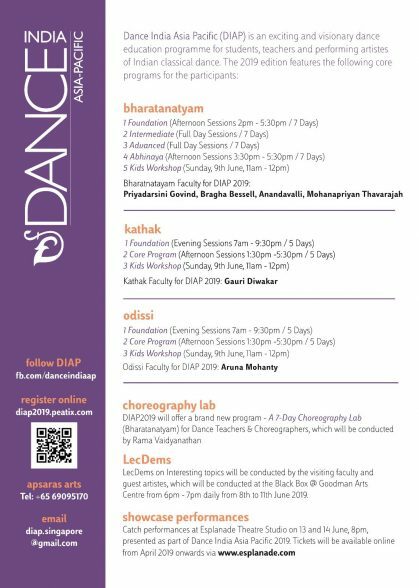 Dance India Asia Pacific (DIAP) is an exciting and visionary dance education programme for students, teachers and performing artistes of Indian classical dance. 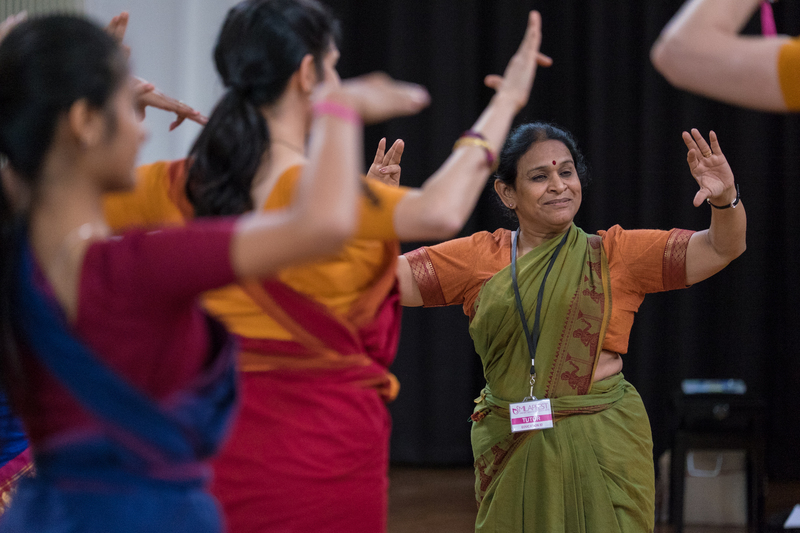 Dance India Asia Pacific has been organised by Apsaras Arts since 2011, in collaboration with Milapfest and supported by Singapore’s National Arts Council Singapore and Esplanade Theatres on the Bay. For details about our Dance India Asia Pacific programme, please visit here.